With Love from Lohr: What we have been upto!!! We began 3 days ago, took us the entire day to dismantle, move and assemble our respective beds. Yesterday we were the entire day at Ikea, buying us more furniture. And as of today, our house looks as though a tornado has just swooped in and left with boxes strewn around, assembling happening simultaneously. Tomorrow is New Year's eve and I so want my house to be back in shape, all pretty and cosy. Heaven help me!!! 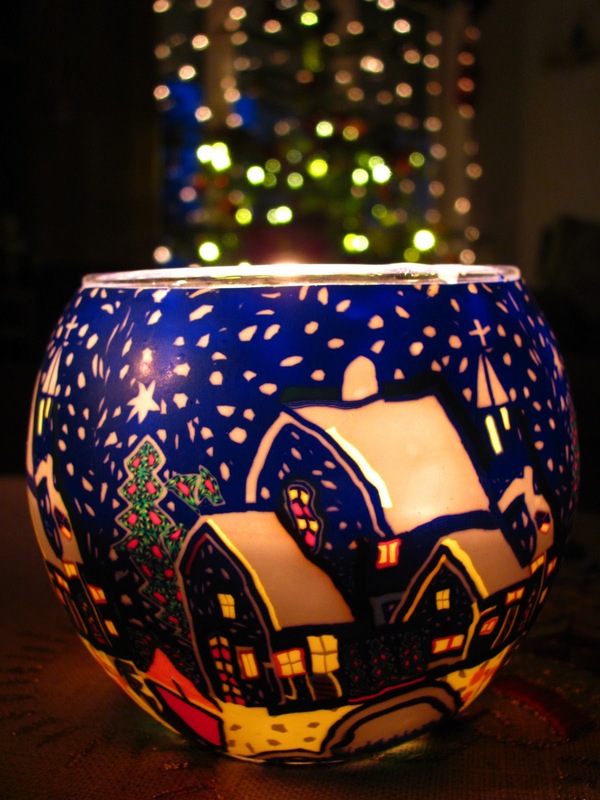 For now, a picture of my pretty hand painted candle holder which I received from a dear friend for Christmas. P.S: I am already dreading our return to India in 2012!!!! So you just moved around your rooms? Not to a new house? Why did you need new furniture? We are crammed to the hilt over here..the houses here are so much smaller and it drives me nuts..Good luck with it and I cant believe you will be heading back so soon! Rebecca, the kids needed a study table plus more shelving for their toys! !